Seeking to improve your customer loyalty program? Then you’ve come to the right spot! Previously, we talked about how to build a customer loyalty app with a set of basic features. But what if you want to add some bells and whistles to your wallet application? We’ve focused on several companies known as loyalty leaders 2016. These are the experts at creating successful loyalty programs. Let’s see what we can learn from these retail giants to improve your loyalty app. Starbucks is a coffee brand recognized worldwide. 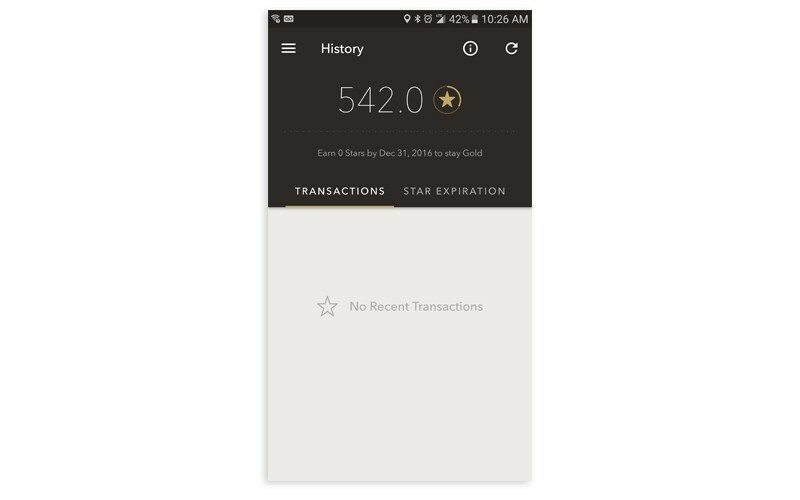 The Starbucks loyalty application for iOS, Android, and Windows 10 works at all locations around the globe. But what's behind this success story? A good loyalty program! So let's discuss it first and then take a look at the app’s features. The Starbucks Rewards programs change over time, and recently they reworked their loyalty program rules, offering two stars for each dollar spent instead of one star per transaction. Moreover, it now takes 300 stars to hit the Gold Level and 125 stars to get a free treat, whereas in the past a customer needed just 30 stars to become a Gold member and 12 stars to get a free drink or food. Although the recent changes may feel a bit unfair (especially to those who place small orders), the company says that switching to such an expenses-orientated system of rewards was the number one request on their My Starbucks Idea, a site for customer feedback. As it turns out, some of the customers weren’t satisfied with their previous strategy because they were rewarded per transaction, but not based on how much they purchased. Starbucks decided that the former, transaction-based strategy led people to place more separate orders just to get more rewards, which, in turn, created longer waits in line. The new program also allows members to double their rewards on special dates or at special hours. You can still enjoy a free beverage on your birthday, as well as free in-store refills regardless of the number of stars you have. But how can you keep count of all these stars and free perks? None of your stars will be lost, because all of them are stored in an updated virtual coffee cup displayed on your dashboard. The dashboard also shows your status and the number of stars until your next reward. You will also be informed when you have enough stars for a reward, so you’ll never miss out! Starbucks also added a dash of animation to the application, so you can now watch your stars roll around cutely inside the cup. Paying without your wallet is one more thing Starbucks is popular for (besides tasty coffee). 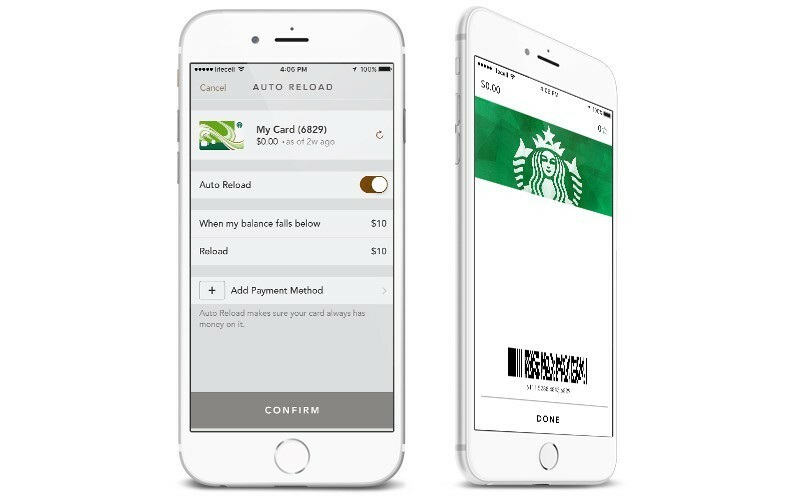 All you need is a digital Starbucks Card loaded into the app. You can either register an active loyalty card or generate a new one right in the application. Once your card is active, you can check and reload your balance and make purchases via barcode scanning. Even more interesting, you can shake your phone to make the card appear! The Starbucks mobile app replaces all paper receipts, so you always have access to your past transactions (in the History menu) but don’t get slips of paper to toss in the trash. You can also check the Star Expiration tab in the History menu to see when you’ll lose stars if you don’t make use of them. Starbucks lets you choose among several payment methods when you go to reload your card, including PayPal, Visa Checkout, or an ordinary credit card, so you can pick the one that suits you best. Users can also set their account to automatically reload, meaning that the application will automatically withdraw a certain amount of money from the payment method of choice when the loyalty card balance has fallen below a set threshold. The procedure is also possible for PayPal or Visa Checkout accounts. If you decide to load your card with a credit or debit card, your card information will be stored in your Starbucks account. But you can always set a password for the application to authorize future reloads and avoid the loss of sensitive data. Starbucks sends their loyalty program members messages with special offers. You can find your offers either displayed on the main page right below the Star count or stored in the app’s inner mailbox. 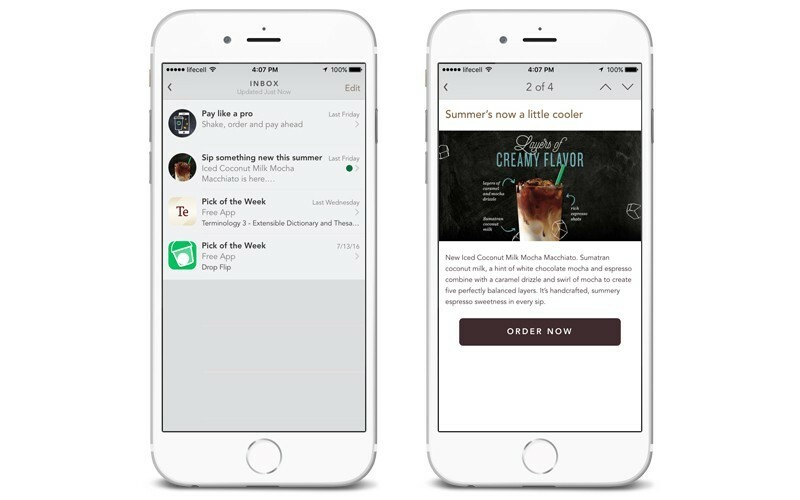 However, Starbucks mail is not only for personalized coupons, recent news, and upcoming events; it also includes a special kind of content called Pick of the Week. Picks of the week are offers on books, music, games, and mobile apps; and, of course, they are all carefully tailored according to your preferences. Starbucks is one the pioneers in integrating pre-orders with their mobile application. Their Mobile Order & Pay service, which has been available nationwide since 2015, is just perfect for those who are in a hurry. You can customize, place, and pay for orders, and choose where you’ll pick the order up right within the application. Thanks to this feature, customers don’t have to waste time waiting in endless lines, but can enjoy their favorite foods and drinks immediately. Moreover, the mobile service accelerates the checkout process significantly, which allows baristas to serve more people in less time. According to Bloomberg, 21 percent of transactions at Starbucks’s U.S. stores now come via the mobile application. But Adam Brotman, a company’s chief digital officer, expects that orders through the Starbucks application will account for more 50 percent of total transactions in the near future. 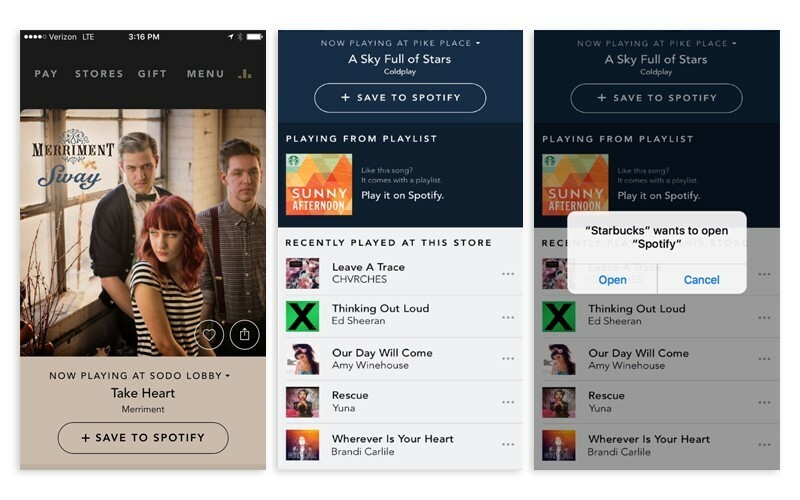 Collaborating with Spotify, Starbucks lets you see what’s playing in its stores in real time. In addition, you can influence Starbucks playlists by saving and favoriting songs you’ve liked. Whenever you are, Starbucks will always help you find them. Now, that the Starbucks app is location-aware, you can find the nearest coffee shop in the neighborhood, see what amenities are available, and mark those you like most. 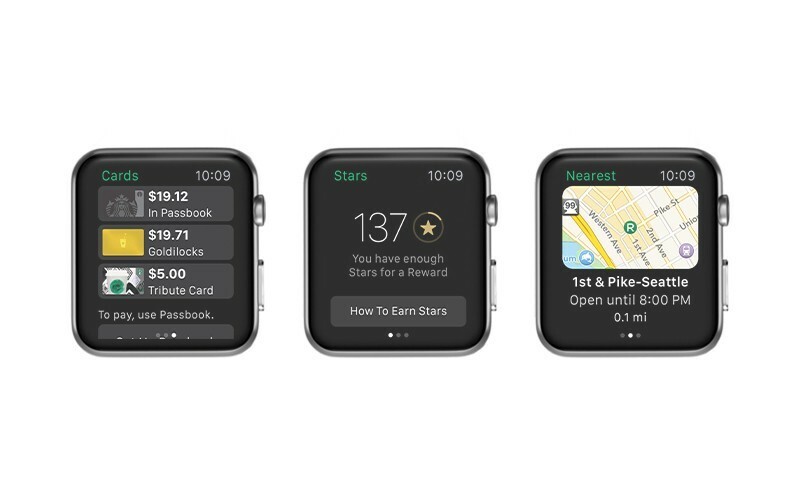 The lucky users of iOS devices can also easily check the number of Starbucks Rewards stars, pay for food and drinks, and find the nearest stores, including Starbucks Reserve or Drive-Thru, using their Apple Watch. Unfortunately, Android Wear hasn’t gotten this functionality yet. But who knows, maybe soon we will see some love for the Android-powered wearables as well. A company known for its legendary chicken sandwiches, Chick-fil-A has always had its own, different rules when it comes to everything including loyalty programs. Chick-fil-A-List, the company’s old program, required a special invitation. However, the chicken chain changed course a few months ago. Now, membership is open to anyone over the age of 13. Additionally, Chick-fil-A replaced its old application with a new one, called Chick-fil-A One. It’s available for both iOS and Android. Every time you pay for your food with a smartphone, you make progress towards receiving treats. When you’re ready to make a purchase, just tap on your card and you will see a QR-code. Scan it at the counter or drive-thru, and you’re all set. There are no figures, points, or stars involved in the Chick-fil-A perks program, though; the dashboard is only a colorful animation. Once the circle fills up with red, you get a free treat, which you can redeem by either scanning a barcode separately or adding it to your next order. The nice thing about the Chick-fil-A loyalty program is that you can always choose between several options when it’s time to get your reward. As you may have guessed, the options you’re presented with will be based on your preferences and orders you’ve made previously. 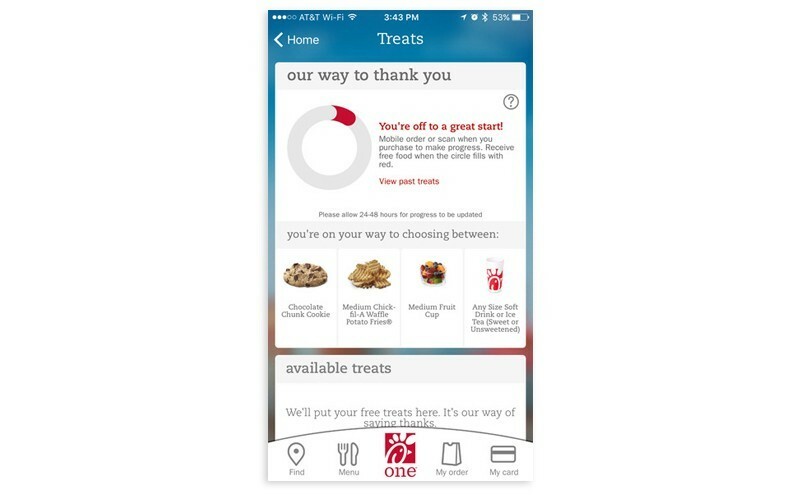 Starting this summer, the Chick-fil-A fans can enjoy a new mobile ordering feature in Chick-fil-A’s app. As with in-store purchases, every time you order within the app you get closer to receiving free food and drinks. What distinguishes Chick-fil-A’s pre-order service from others, though, is that you can tell them when to start preparing your meal by tapping the “I’m Here” button in the app! This way, you can ensure that all ingredients remain fresh. 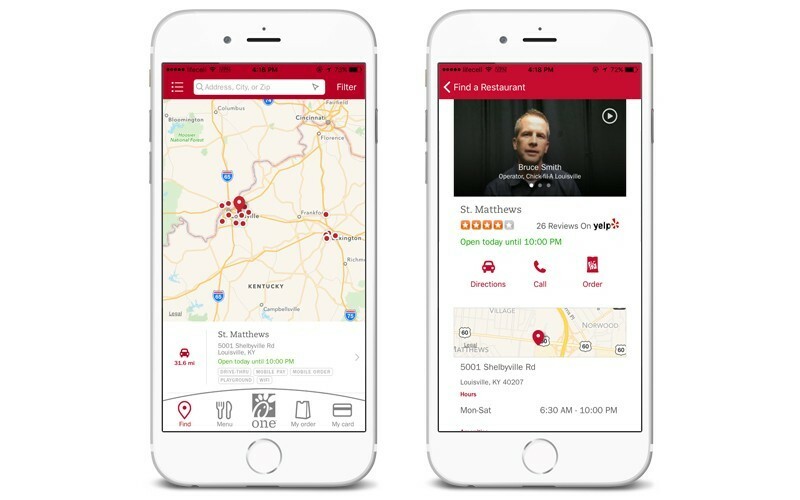 How can you place an order via the mobile app? It’s as easy as eating Chick-fil-A’s Dwarf House Lemon Pie! First, you need to pick a restaurant, add a convenient payment method, and then browse through the app’s menu to choose what you’d like. Speaking of in-app payments, Chick-fil-A provides only two options so far: you can either enter a debit or credit card or use money from your Visa Checkout account. However, the real magic begins when you start customizing your order! Once you’ve tapped on a dish, you will see a list of special ingredients you can add: from standard stuffing to less common extras that a cashier might forget about. You can be creative and make your order look and taste exactly like you want. They’ve also included a nice tool for those who have allergies or are on a diet. 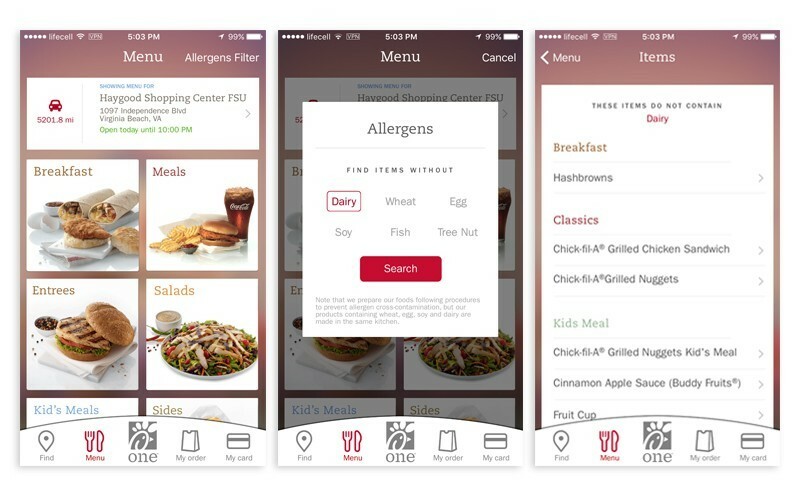 As its name suggests, the Allergens filter shows you a menu that only includes ingredients you can eat. After you’ve eaten, you can favorite meals and drinks you’ve tried, and they’ll be saved to a special list automatically. You can later customize your future orders by dragging and dropping your favorites from the list. Lost in a new city right at lunchtime? Now it’s easier than ever to find the nearest Chick-fil-A. Chick-fil-A One also allows you to see special offers and menu items suggested by local stores. 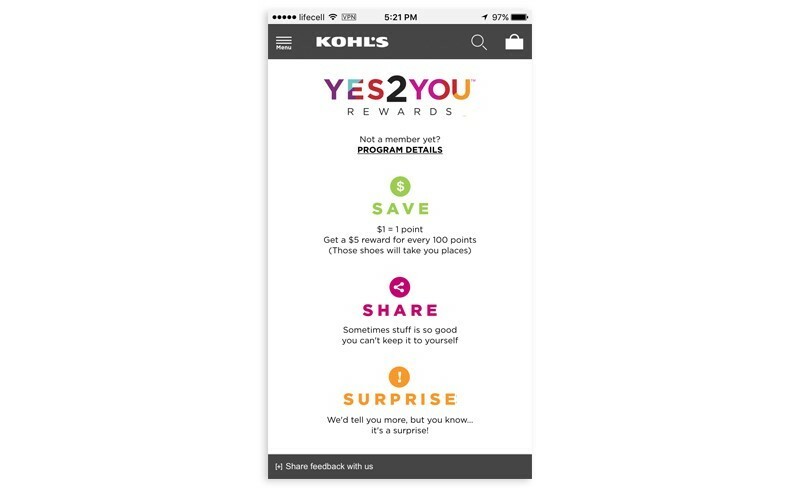 Kohl’s — with their Yes2You Rewards — is another company known for its generosity. Michelle Gass, a company’s Customer Officer, once said that the company is inspired by their customers and it will do its best to thank them for their kindness. So let’s see if Kohl’s managed to design a successful loyalty program. Besides the opportunity to get one point for every dollar spent in Kohl’s stores, the company gives its customers annual birthday gifts as well as customized savings offers, discount coupons (Kohl’s Cash), and opportunities to earn additional bonuses. Even better, you can transfer Yes2You Reward points to family members and friends also enrolled in the program or donate them to the Kohl’s Cares Initiative supporting children’s health and educational programs. Since you’re going to receive loads of offers, you need a place to store them. The Kohl’s mobile wallet feature helps you with that! You can scan barcodes from coupons that come in the mail or from Kohl’s Cash that you get in-store using your phone’s camera. These coupons and offers are then uploaded to your digital wallet, so you can present them at the checkout anytime you want a discount. Moreover, you can set an alert to let you know when an offer is expiring. 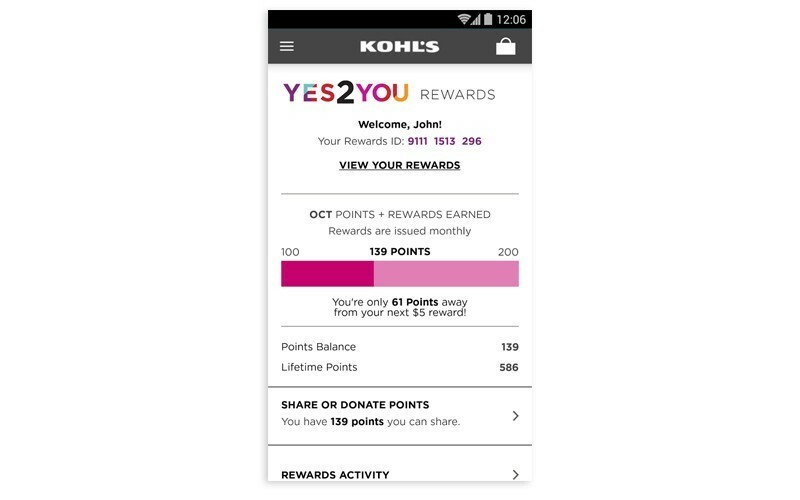 The Kohl’s app also lets you check your Yes2You Rewards and Kohl’s Cash balances, track your rewards activity, and view how many points are left until your next 5-dollar reward. There is an option to share or donate your points as well, in case you want to help someone out, be it your friend or one of the charity organizations we mentioned previously. In the past, you had to have a physical Kohl’s Charge card to accrue points, but now you are able both to make purchases and collect points using any of your payment cards. 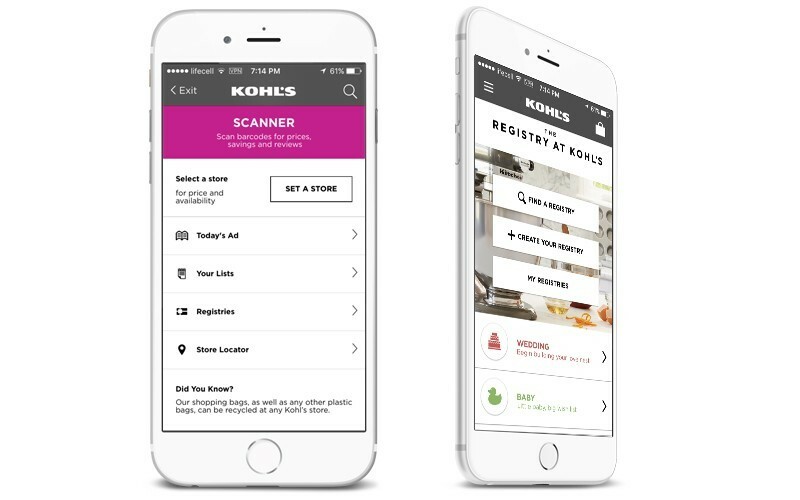 Notably, the recent deal between Kohl’s and Apple makes it possible to pay via Apple Pay provided you’ve added the Kohl’s Yes2You card to your Apple Wallet. However, this move may result in the abandonment of the Kohl’s loyalty app, which seems to be an undesirable outcome for the company. The Kohl’s loyalty app has a number of other interesting tools besides the coupon upload feature we described. For example, you can pick any product you find in a chain’s store, scan its barcode, and instantly find information on it, including price, applicable discounts, and customer reviews. If there are some discounts available for an item, you can then load them directly to your Kohl’s wallet. You can also browse for fresh ads and offerings, create your own shopping lists, find friends’ gift lists and get amazing ideas for upcoming events. What’s more, you can create different types of registries, including for weddings, babies’ birthdays, or any other celebration. You can do much of the things we listed above in the Apple Watch app extension. For example, you can review points, check your Kohl’s Cash balance, and make use of gift cards and coupons via barcode scanning. It’s a perfect tool for those who don’t like juggling their phone at the checkout. Apple Watch will also inform you if there are any offers expiring in the near future. Before launching a loyalty program, you should always perform some careful market analysis. To help you out a bit, we’ve prepared a cheat sheet of sorts that you can refer to while planning your loyalty or wallet application. The features described here, offered by Starbucks, Chick-fil-A, and Kohl’s, may be successfully applied to your own project – or maybe these examples will inspire you to some new, innovative idea.